The Department of Information Services is an information and communication network that is dedicated to the management of information related to Community and, National development initiatives. The collection, processing, and dissemination of reliable, accurate, timely information. 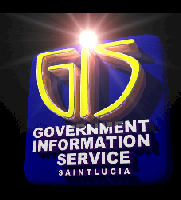 The Government Information Services is responsible for disseminating accurate information on government policies, programmes, services and activities, through the print and electronic media in a timely manner, with a view to generating public support for these government policies, programmes, services and activities, thereby creating the environment for them to succeed.